This photo of the Duke of Edinburgh riding a horse drawn carriage following his Range Rover crash appeared on the front of the Daily Telegraph newspaper. Sell your photo to newspapers! Our latest exclusive front page story revealed how actor Steve Coogan and presenter Mel Sykes are dating. Do you want to sell a story? Contact us today! This incredible photo shows the miraculous moment a pilot parachutes to safety from a Red Arrows crash. Sell your photo today! Our latest front page story in the Sunday Mirror newspaper revealed how I’m A Celeb Winner was evicting 29 vulnerable residents. Sell your story to a newspaper today! Our exclusive photo of comedian Michael McIntyre with his son after he was mugged by a moped gang led the news agenda. Sell your photo. We sold the photos of Holly Willoughby's first modelling shoot. Do you have a photo to sell? Our front page showbiz exclusive. Contact us today to sell your story. Our latest front page exclusive revealed how Coronation Street actor was arrested. Sell your story today. This quirky photo, snapped by a couple on holiday, was sold as an exclusive to a newspaper before being syndicated around the world. A source contacted us to expose how Scarlett Moffatt had gone to a secret boot camp to lose weight in her fitness DVDs. DO you have a story to sell? Prince Harry cosies up with Doctor Who actress Jenna Coleman. We sold the photo around the world. Do you have an exclusive story or photo to sell? Our latest front page exclusive. Serial Killer's Legal Fight To Wed. Sell your story today! A whistleblower contacted us after being concerned firemen were attending medical emergencies. Blow the whistle through us. We sold this photo of the Parsons Green bomb appeared across the national media. The picture was taken by someone caught up in the terrorist attack. Our exclusive on MP Keith Vaz using escorts while overseeing a review into prostitution won the British Journalism Awards 2017- Scoop Of The Year. Our exclusive photo and story of Jihadi John when he was a schoolboy was sold across the globe. Sell your story or photo today. This photo of a cowfish looking like US president Donald Trump sold to a number of news outlets. Sell your photo today! Our publicist Jonathan Hartley is representing the family of Ashya King whose story made headlines across the globe. Do you need media help? This photo of a cat getting itself in to a tight squeeze was a huge hit in newspapers and magazines across the world. 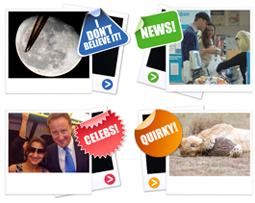 Welcome to KNS News - the UK's leading press agency for selling exclusive stories and pictures. We act as a vital source of media expertise for the general public wishing to sell a story. This powerful combination means we are uniquely positioned to help clients deal with newspapers, TV and radio in the digital age and get the best deal when selling a story. We broker and sell stories and pictures to national newspapers, TV channels, and magazines in the UK and around the world. Over the years we have gained an excellent reputation for negotiating the highest possible fees and best coverage in the media for our clients. Our publicity services include promoting individuals, companies, products, and services, in the mainstream media. Call our story hotline on 01603 765188 to sell a story or fill out the form to sell your story. You can also visit our sister website SNAPPERZ to sell your photo . When you contact us we will gudie you through the process of selling a story. Our contacts mean that you can have safe access to journalists and media professionals. We will deal with your media requirements and questions with a common sense and straightforward approach which puts you at the top of the agenda. If you find yourself in the middle of a media storm we are here to guide you and ensure you make the right decisions. Anyone unsure whether their story or photo will sell is welcome to call us for a confidential chat. We will provide an assessment and advice straight away. With decades of experience we are able to devise strategies for you to sell a story in the safest and most lucrative way. Please use the form below or phone us if you wish to speak to us immediately. We sell photos to national newspapers and magazines around the world on a daily basis. Click here to sell your photo.